operate in the US on AT&T and T-Mobile. 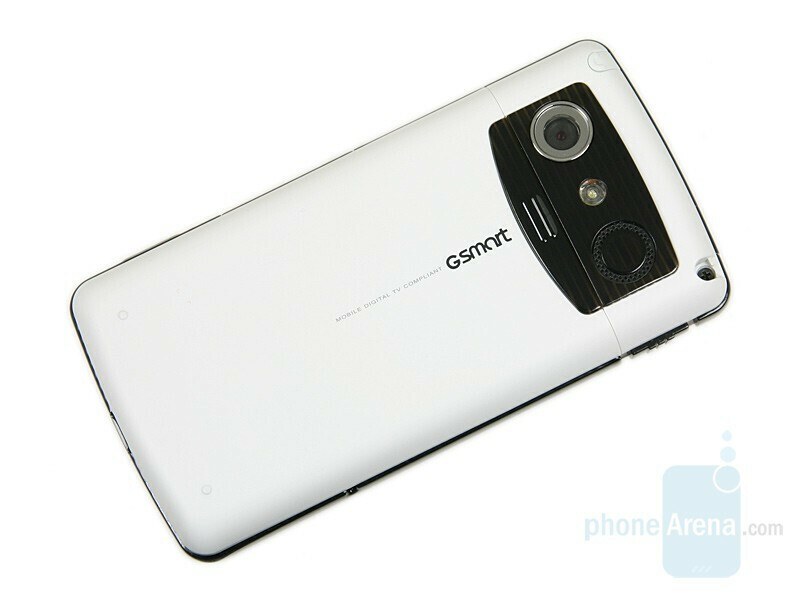 The Taiwanese manufacturer of computer components has been on the mobile phone market for a few years now, but its products use the name GSmart. 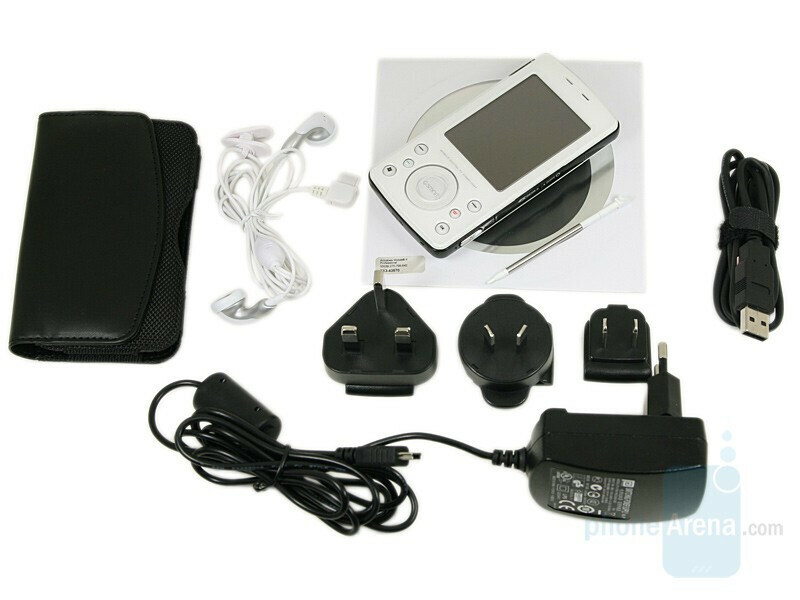 And this review will discuss the model t600, advertised as “the the world’s first universal digital TV PDA phone”. 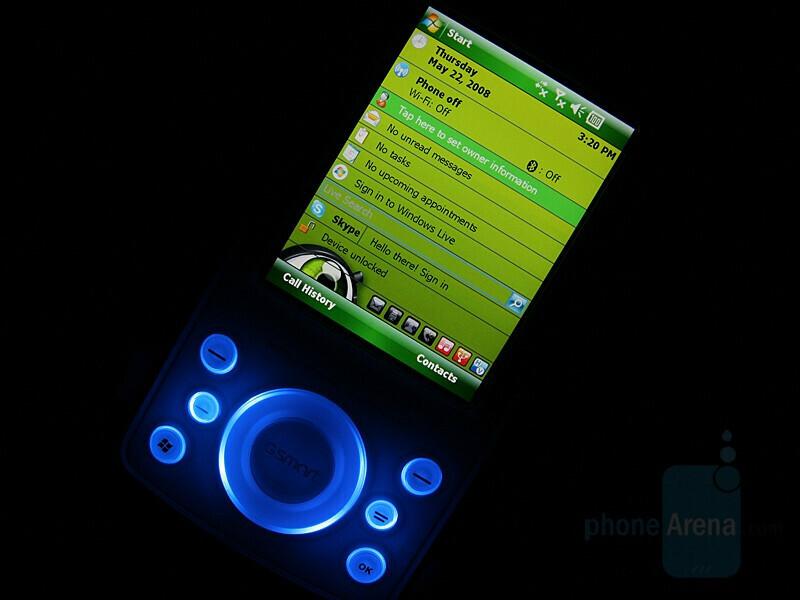 On top of that, it’s equipped with a VGA display and runs on the Windows Mobile 6 OS, so it can be “smart”. 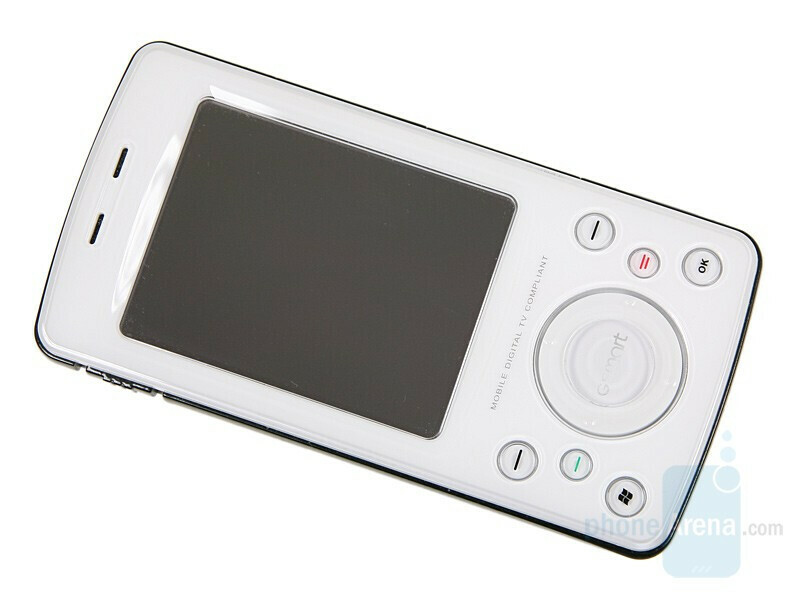 Once you open the box a cute phone appears, whose design looks as if inspired by the classical iPod. 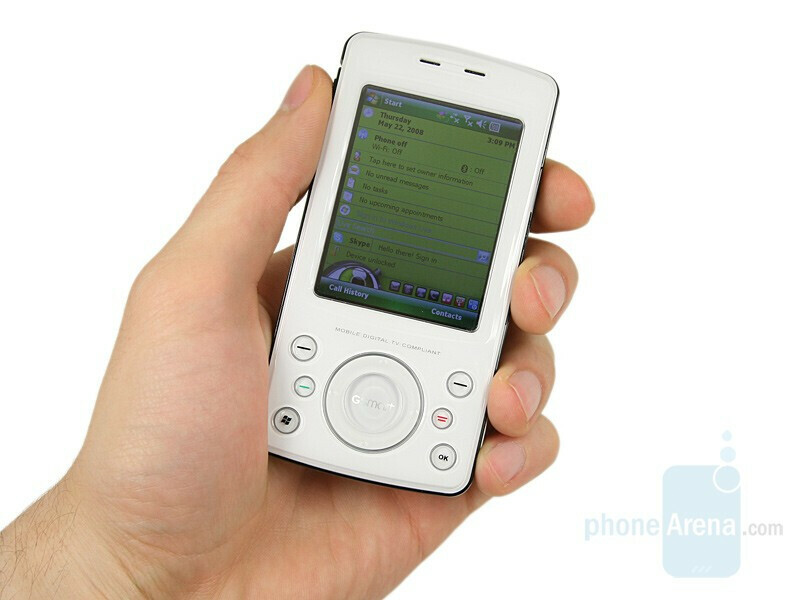 Its size is no compact enough to carry it in a pocket for example but if you hold it in your hand it feels good. It weighs 4.9 oz. 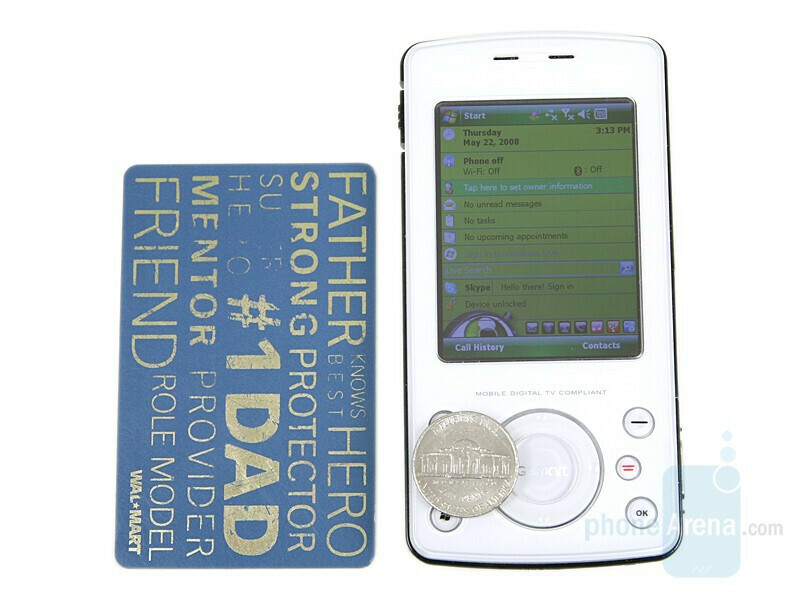 (140 grams), which is normal for a phone of this type and besides here, it is very well balanced. You can compare the Gigabyte GSmart t600 with many other phones using our Size Visualization Tool. The 2.6” TFT display with a resolution of 480x640 supports 262k colors. 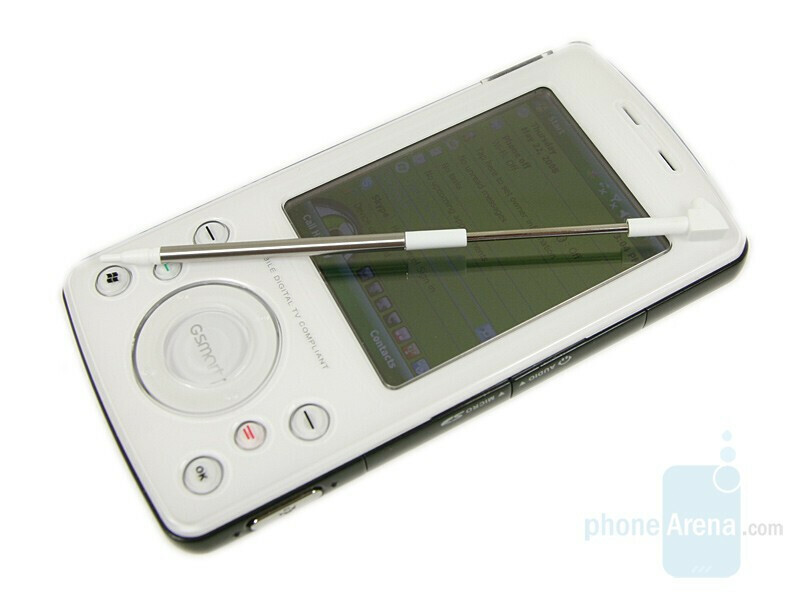 It is slightly concave which makes it inconvenient for operating with fingers and we recommend using the stylus. The picture is bright with well-saturated colors but once exposed on a direct sunlight almost nothing can be seen. Below the display we see the 5-way D-pad, two soft buttons, send/and key, Windows and OK shortcuts. All keys are hard to press because they’re not protruding enough and the D-pad lacks drive. The rest of the keys are located on the black plastic on the sides of the phone. 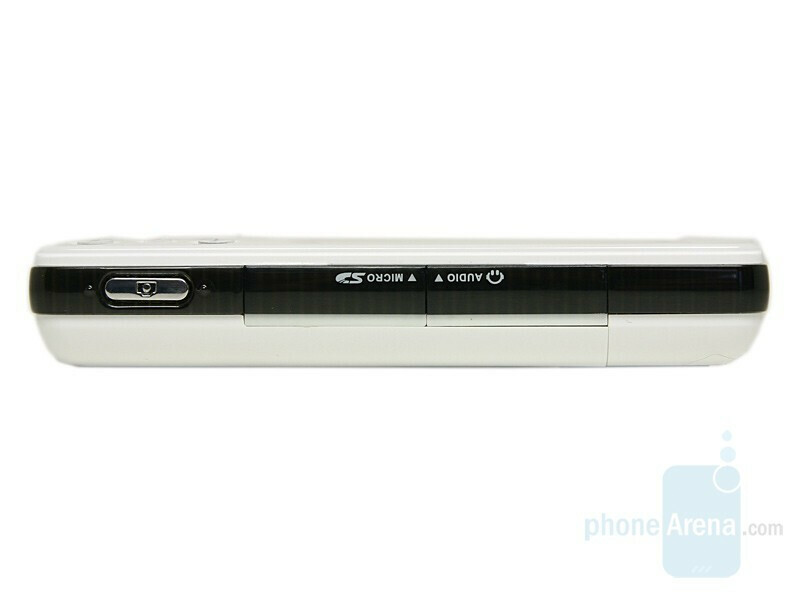 The volume slider and reset button on the left, and on the opposite side you’ll see the camera shortcut and the two slots for the microSD card and the earphone connector, hidden under two caps. 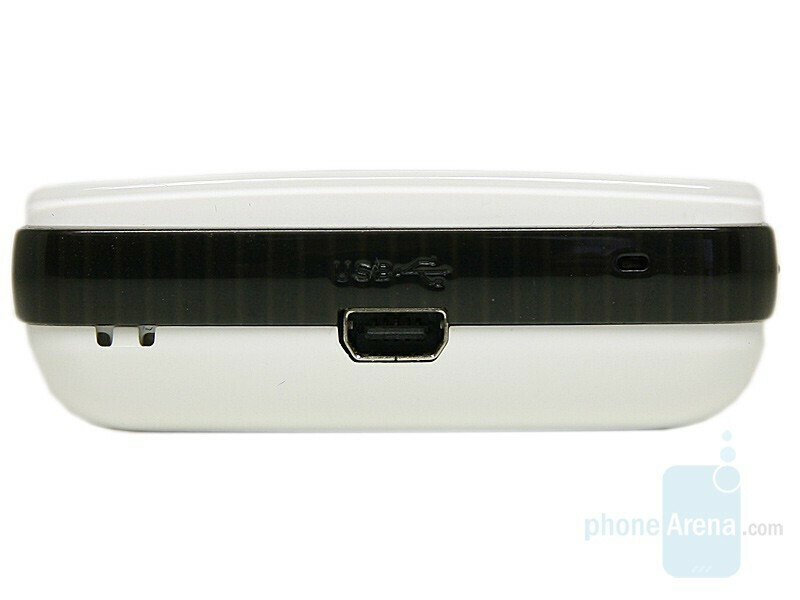 The bottom houses the miniUSB and the microphone openings. 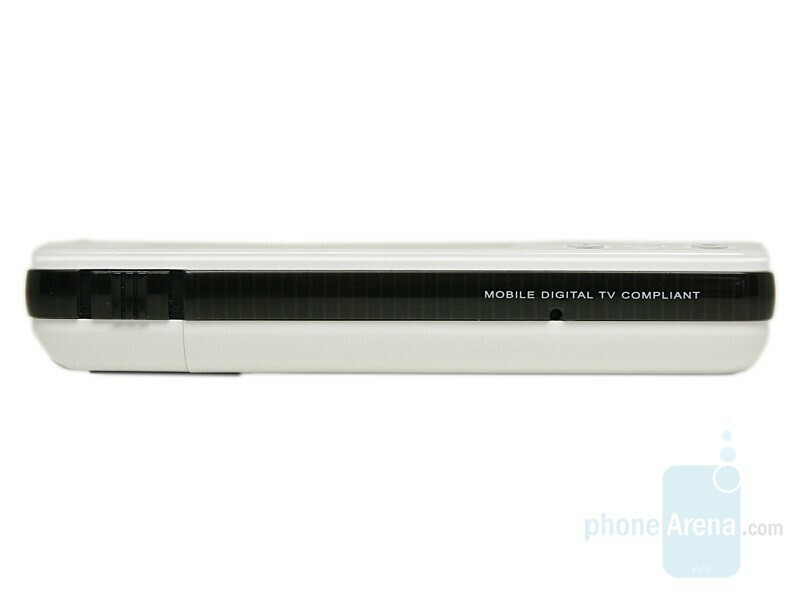 The telescopic stylus or antenna, the three system LED’s and the power button are located on the top. The power key has no well-express relief but you’ll get used to it very quickly, making pressing it an easy and clearly felt task. 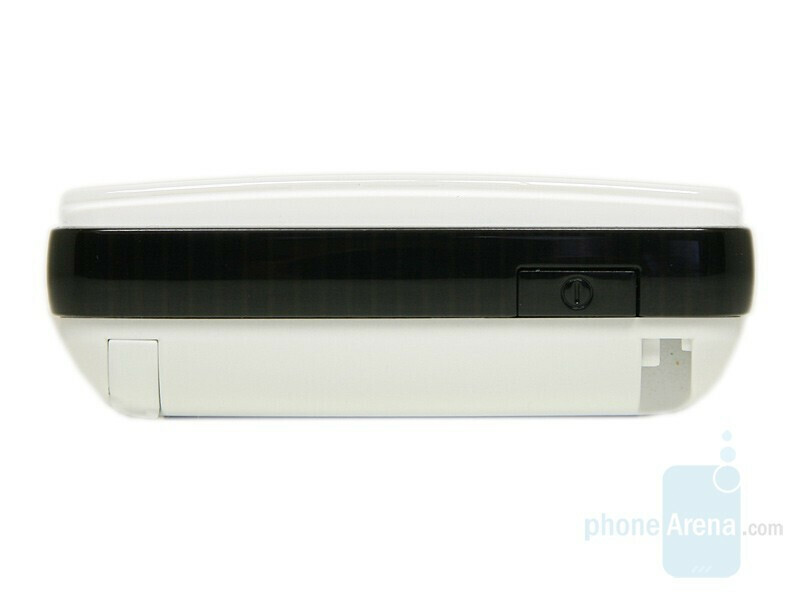 Almost the entire back is made out of white plastic and only the part where the camera module is housed, accompanied by the flash and the loudspeaker, is made up of black material, the same one as seen on the sides.